Why I want to read it: This is the 4th in the Lady Montfort series, which I adore. From the time period to the characters to the mysteries themselves. I am especially a fan of Mrs. Jackson, the housekeeper. I cannot wait to see what Lady Montfort drags Mrs. Jackson into this time! 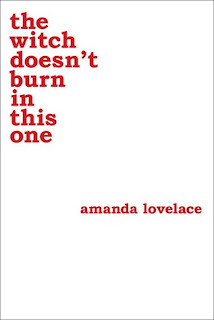 Why I want to read it: One of my personal goals this year is to read more poetry collections, and the title of this one was enough to grab my attention and make me want to read it. I have another collection by the author in my TBR pile at the moment, The Princess Saves Herself In This One. How can I resist an author whose books carry these titles? I don’t know if these are my cup of tea exactly, but a good mystery series always gets a second look from me! Verushka - I love historical mysteries, and have enjoyed this series quite a bit. I read the first Lady Montfort and liked it, and I'm excited that there's three more to get to. I need to get with the program on these! Greg - It is a good series,I think. I hope you enjoy the rest of it when you get to it! I haven't read the Lady Montfort series but it sounds like something I'd like! I'm going to check her earlier books out! Eustacia - I really enjoy it. I like the time period, and the characters are fun. I've heard good things about The Witch Doesn't Burn in This One. I hope you enjoy it! Suzanne - I hope I will too. Thank you! I love the cover on the Tessa Arlen book, but I've not read the series as yet. Kay - The poetry book seems to be too good to pass up given the subject matter. :-) I enjoy Arlen's series. It has a bit of a Downton Abbey feel to it. I don't think it's my kind of book but I love the title of The Witch Doesn't Burn in This One. 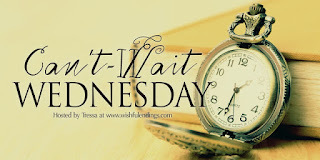 I'm eager to read the new Tessa Arlen and catch up with Lady Montfort and Mrs. Jackson! They both sound like will be good ones, I’m especially curious about The Witch Doesn’t Burn in This One. Great pick. Jenea - Hopefully they will be as good as they sound! The colors in the skyline of Death of an Unsung Hero are absolutely gorgeous. I can see why it caught your attention. Barb - I think so too. It's a lovely background. Mary - It sounds good, doesn't it? It's part of one of my favorite series. I can't wait to read it. I want to read the poetry one! Lark - I am looking forward to it! 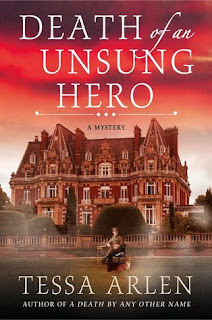 I've got Death of an Unsung Hero on my TBR and am really looking forward to it! Katherine - I think it will be good. I hope so, anyway. :-) I hope you enjoy it too! Both sound great. The Arlen book because I have had the whole series on my TBR and the other one because I enjoy poetry and that title is awesome!